(Newser) – In what researchers call a "double whammy for boys," new research has found that they are more likely to be born premature and more likely to die or suffer disabilities from being born too soon. 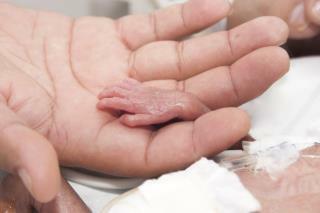 Researchers say the disparity—around 55% of premature births are male—happens all around the world, the AP reports. The cause of the difference isn't fully understood, but mothers carrying boys are likelier to suffer complications including high blood pressure. Girls mature more rapidly in the womb and for a premature baby, "the difference of a few days maturity between a boy and a girl can mean the difference between major lung complications or not," the lead researcher says. Next on Newser: Rebellious Teens Turn to ... Cigars? More prematurity problems for males.